Dr. Baranov graduated with honors from the Military College of Radio Electronics. He is a professor and the head of the Laboratory “Thermophysical Measurement and Equipment”. He is a member of Dissertation Council. 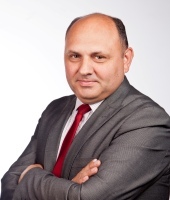 Professor Baranov is a specialist in thermophysical property measurement of substance and materials of phase and structural transformation. He is a member of the International Academy of Refrigeration.